The real-life Fluevogian archives are a beautiful, messy trove of hidden treasures. 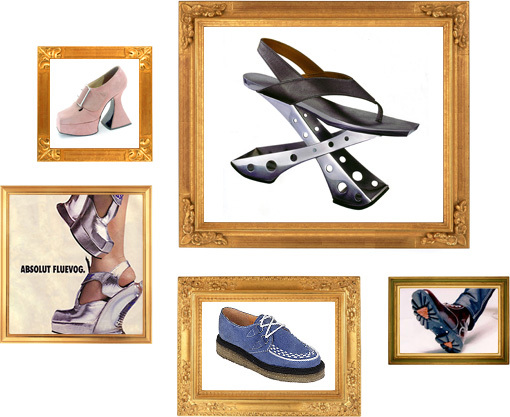 In an effort to maintain a record of the greatness of Fluevog, past designs have been built into the online Flueseum (which is way easier to dust). For Fluevogers aching for the revival of a particular style, the Flueseum is where you can search them out and “like” them. If enough people do, who knows? Perhaps John will be inspired to bring them back!